Did you know that over 250 varieties of mango are grown in India, and that we produce slightly more than 50% of Mangoes in the World? Amazing statistics, and no wonder, come summer season, and we are scrambling across markets to find and eat our favorite mango variety. It is then appropriate that, Rajdhani celebrates the season with its ‘Aamlicious’ Thali. Here is the review for it. 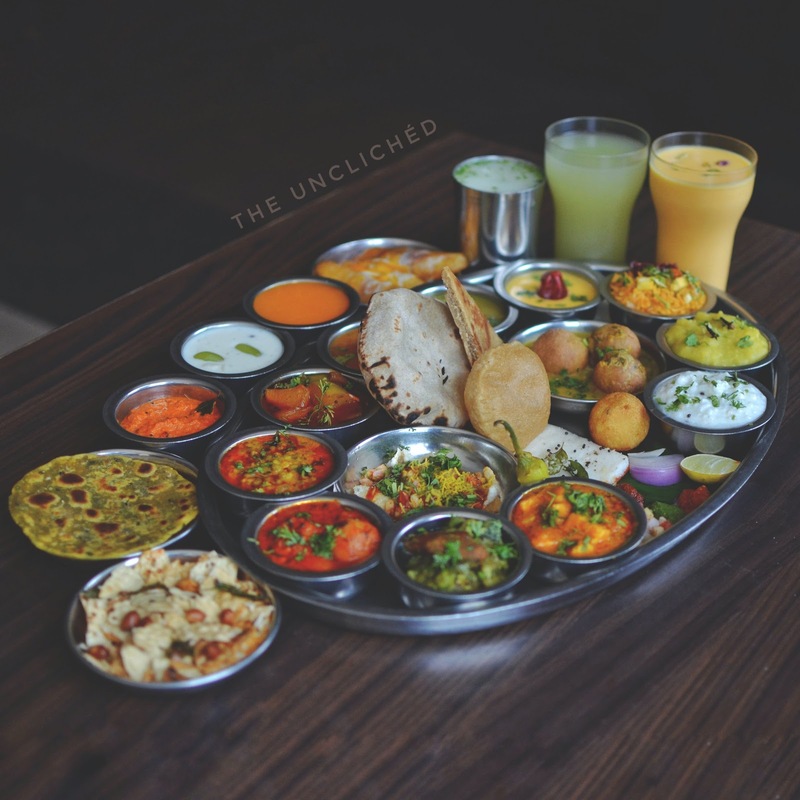 It is a given, when you are at any Thali Restaurant, that you would probably be overeating, and more so with Rajdhani, given the huge variety of dishes to savor. We were prepared to have a lot of food as we embarked on our mango discovery journey here..
· Mango Lassi: Sweet-n-Sour, thick and delicious, but a tad heavy to start off a meal. · Mango Thandai: A fav. Holi and Shivaratri drink, this version with mango wasn’t particularly great, but not bad either. 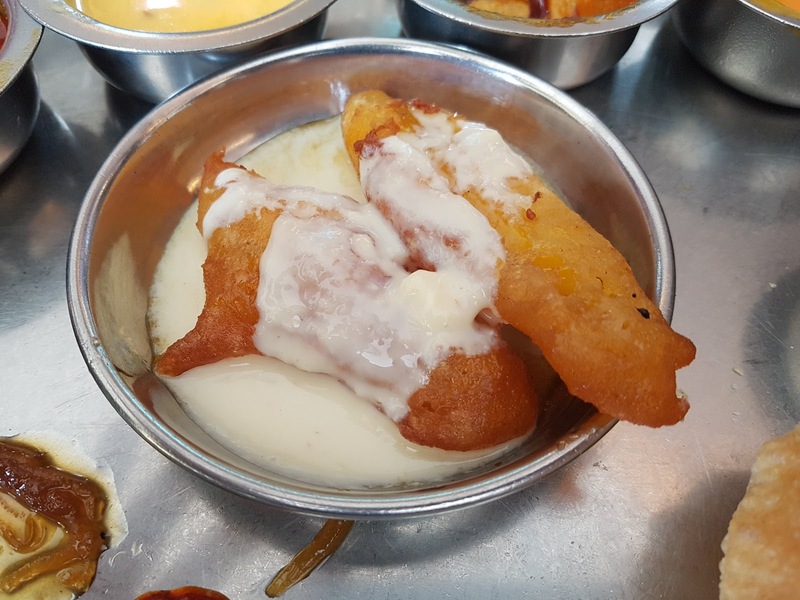 · Aam Khasta Kachori: Crispy kachori with a hint of mango, made this a nice eat. · Mango Dal Dhokli: Starter of the day for me, this was almost like a chaat, with a tangy sweet-sour base and pieces of daal-dhokli and aam slices. Amazing flavors in this one! · Mango Ring Dhokla/Kairi Kanda Dhokla: Two versions of the classic dhokla. The rink shaped one with ripe mangoes and the regular dhokla with the falvours of raw mango. A good touch to a traditional Gujarathi dish. Liked this! There were several other starters/chats as well, such as the Mango Khichiya Chaat and Mango Karkara Roll along with several varities of Chutneys like Mango Choonda and Papad Churi. · Khaata Moong: Regular dry, boiled moong dal and hints of raw mango, this was a nice light mains dish. · Arbi Kairi Nu Saag: Arbi or Colocasia, is not liked by many, due to its slightly slimy texture. However, cooked properly, it can be really tasty. I was pleasantly surprised by this Parsi dish which had spinach and raw mango, to heighten the flavors here. · Kanda Kairi Subzi: Assorted veggies with the tang of raw mango, this would go great with any of the rotis available here. · Mango Kadhi: Being such a staple dish in most Rajasthani, Gujrati and even Maharashtrian households. Experimenting with Kadhi can be tricky. This version here, was a hit and a miss, it was liked me several people and disliked in equal number. 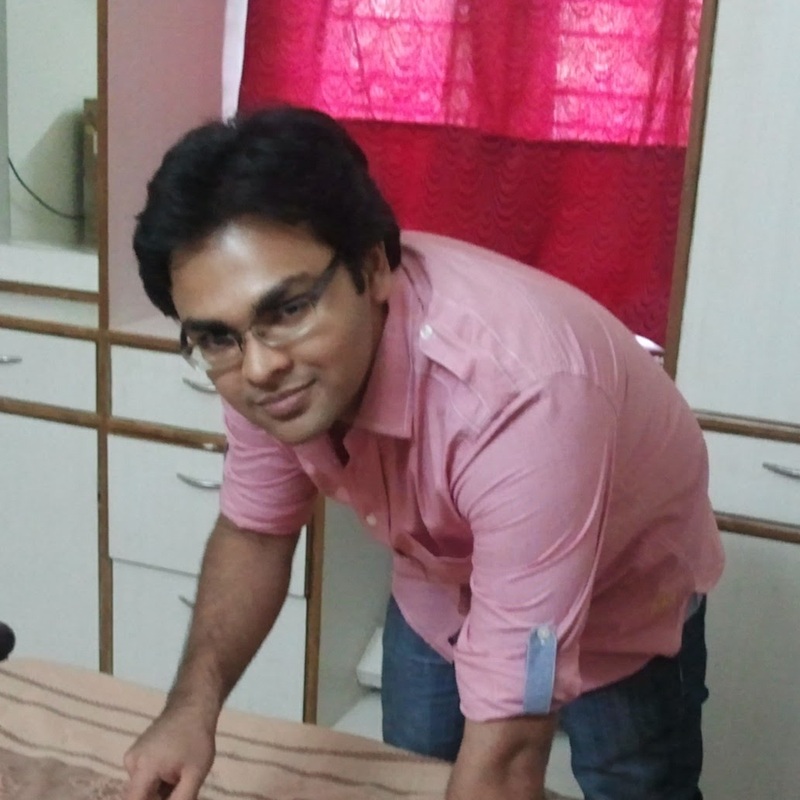 ME, being a mango fanatic, liked it! · Mango Surti Dal: An Indian meal can rarely be complete with a daal to accompany it. This lovely daal was the perfect foil to the tangy, spicy dishes preceeding it, and I relished it with the Mango Pulao. These were served with Kairi Thepla, Khoba Roti and Mango Vegetable Pulao and each of them went well with several of the dishes from above. A decent main course, if you are a Mango fan and haven’t filled up too much on the starters. It is hard to be enthusiastic for desserts after such an enormous meal, however, some of these were so good, that we had them despite being full to the brim. Aamras: Truly a nectar for the Gods, Aamras is pureed mango pulp with a hint of cardamom, sugar or jaggery and sometimes a bit of milk. The aamras at Rajdhani was truly divine and I could have an entire meal made up of this alone. Hapus Jalebi: Be prepared to be amazed, as you find pieces of fresh, sweet hapus(alphonso) mango pieces inside a crispy jalebi shell. This is the first time I had a ‘stuffed’ Jalebi, and I habe to say, I was really impressed. Angoori Applet Kheer: After the extravagantly sweet desserts above, this one paled in comparison. It was a standard kheer with tiny apple slices, and grapes, and I would rate it as just average.